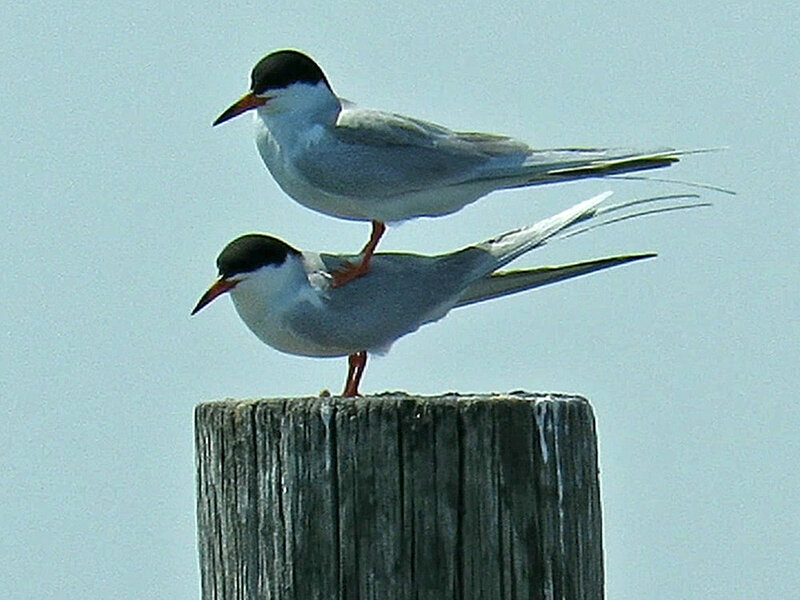 Forster's terns (Sterna forsteri) are medium-sized terns with black heads and orange bills with black tips. 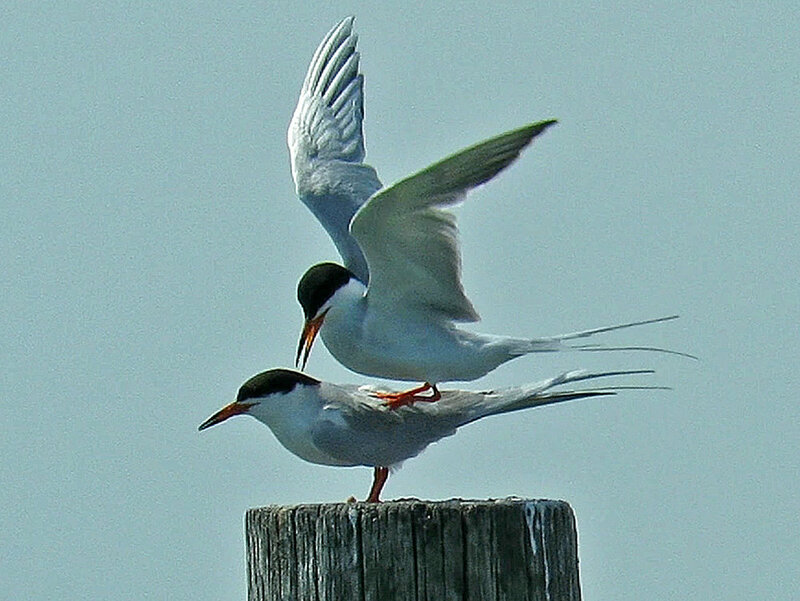 They breed in marshes, and on May 3, 2018, at the bay at Broad Channel American Park, a pair of terns was seen attempting to mate. They didn't succeed. The Filming the Feathers video documents their efforts.